It’s not all fluffy white sand !!!! The boys did it hard at times. The track is sometimes hard to define and is just a very narrow path thru scrub, a long way from the water. It’s not all palm trees and bikinis. 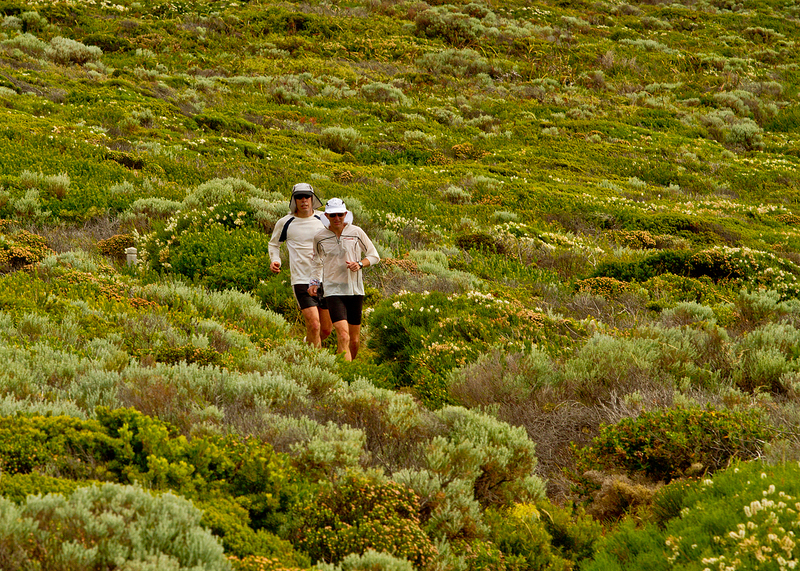 What a marathon effort from Michael Baldock and Andrew Cohen when on Tue 21st Dec ( the longest day ) they run the Cape To Cape Track in Western Australia, approx 130k’s in 19 hrs. It was a pleasure to be involved and it was all done for a very worthy cause , The Fred Hollows Foundation. On Mon night The Fletcher twins , myself , Pete Hodgson, Mark Stothard , Jamie Nicolaou, Jamie Paterson and James Harrison met at the Cape Leeuwin lighthouse. After a rare steak at the Augusta pub ( thats all you can get on a Mon night apparently ) we went back to the lighthouse and headed off in different directions for a shoot. I ventured off down to the point below the lighthouse and managed this one for a start. 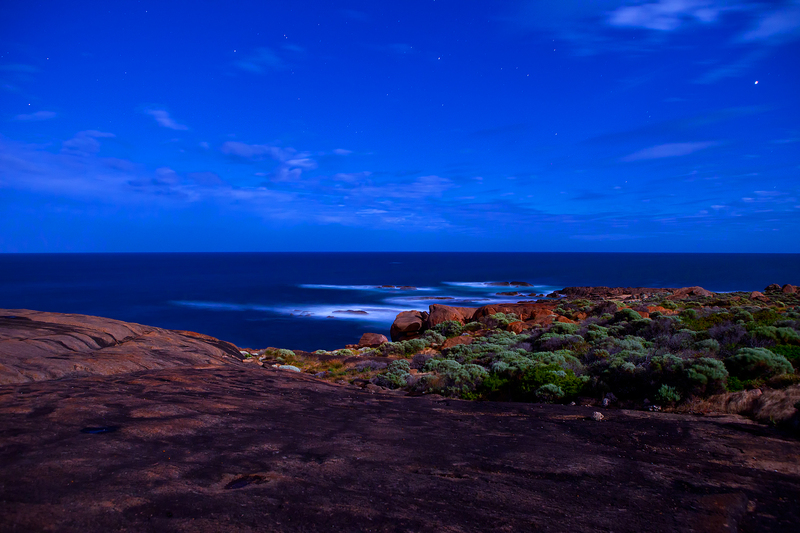 The tip of the cape where the Southern and Indian Oceans meet, captured under a full moon.